Two workers were burnt to death at a ship-breaking yard at Shitolpur in Sitakundu upzaila on Monday night. The deceased were identified as Md Jalil, 26, son of Md Ainal, hailing from Barishal and Bipul Chandra, 24, son of late Shoshi Chandra, hailing from Kurigram district. 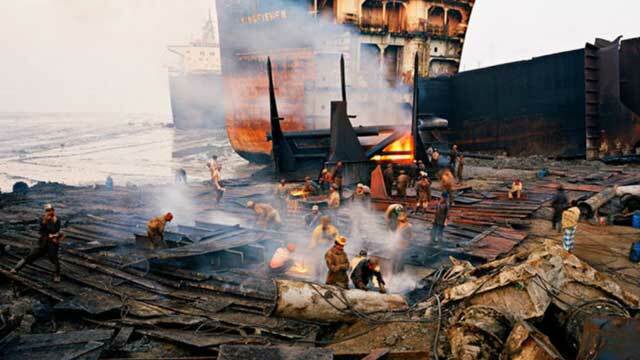 Sub-inspector Pradyut Gosh Chowdhury of Sitakundu Police Station said that two workers sustained burn injuries after a fire broke out from gas cylinder (used for cutting iron) while they were working at the engine room of an scrap vessel at ‘Sagorika Ship Breaking Yard’ owned by Siraj Doula. Later, they were rushed to a private hospital where they succumbed to injuries, said police.